“Is that supposed to happen? I don’t think that’s supposed to happen,” are early lines in an animated parody of an energy company’s advertisement as first globs and then gushes of animated oil blot out the pastoral scene portrayed in the advertisement. Editorial cartoonist and animator, Dan Murphy of the Vancouver Province felt the same way after he was told his animated parody was removed from his paper’s website because that energy company had issued an ultimatum to Postmedia Network Inc., the parent company of the Province and nineteen other newspapers and magazines. On June 22nd apparently both the Province and Postmedia blinked when Enbridge Inc. reportedly threatened to pull 1 million CAD in ads. 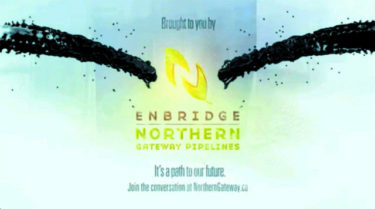 Dan was told that instead of calling Enbridge’s bluff, Vancouver Province editor-in-chief Wayne Moriarty removed the animation from the paper’s website for fear of losing his job. To Dan this was one of those “red flag moments.” He couldn’t stay silent. In the days that followed, Dan risked being fired by giving a limited number of interviews repeating what he had been told as to why his parody was no longer featured on the paper’s website. For the full story and an interview with cartoonist Dan Murphy, click here. Pittsburg Post Gazette political cartoonist Rob Rogers celebrated being chosen as the 2012 winner of the Thomas Nast Award by announcing he was donating his prize money to CRNI. The Nast Award is given annually by the Overseas Press Club for the best cartoons on international affairs. Assem Trivedi was chosen as the co-recipient of our 2012 CIEC award for two courageous actions. First, in an atmosphere of increasing censorship and repression in the world’s largest democracy, Mr. Trivedi launched Cartoons Against Corruption to mobilize his fellow citizens against India’s pervasive political corruption. Then, after being charged with treason and insulting national symbols, Aseem took his second courageous action. Despite the charges and threats of additional charges, he assumed a leadership role in India’s emerging free speech movement. Joining forces with other free speech activists, Aseem launched an online freedom of expression campaign called Save Your Voice: A Movement Against Web Censorship.